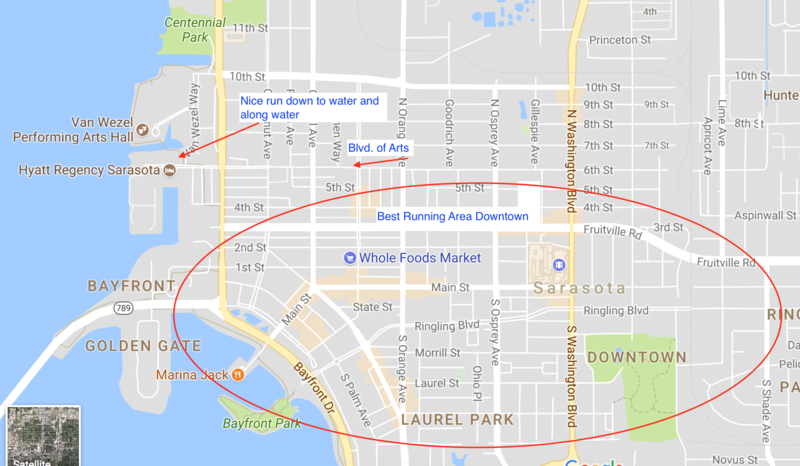 Downtown Sarasota is pleasant for running, with streets leading down to the water, some pleasant commercial areas, and some shaded side streets with nice homes. Your best bet is to create your own route. Our recommendation is the area between Fruitville Rd. and US-41 (Mound St.), and east to S. Shade Ave. Main St. gives you a nice sense of downtown, with the Marina at its western end. 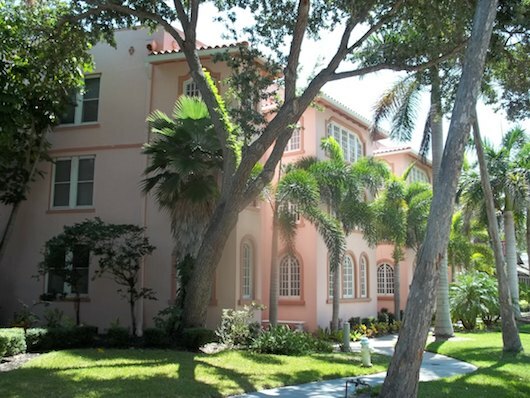 The Laurel Park Historic District is very pleasant for running, including include the west-east Morrill St., Laurel St. and Oak St. Just north of Fruitville, there’s a nice section along Boulevard of the Arts down to the water and the Performing Arts Center, and a lovely 1/2 mile path north to Centennial Park. Parking at Nature Ctr. off Palmer Rd.